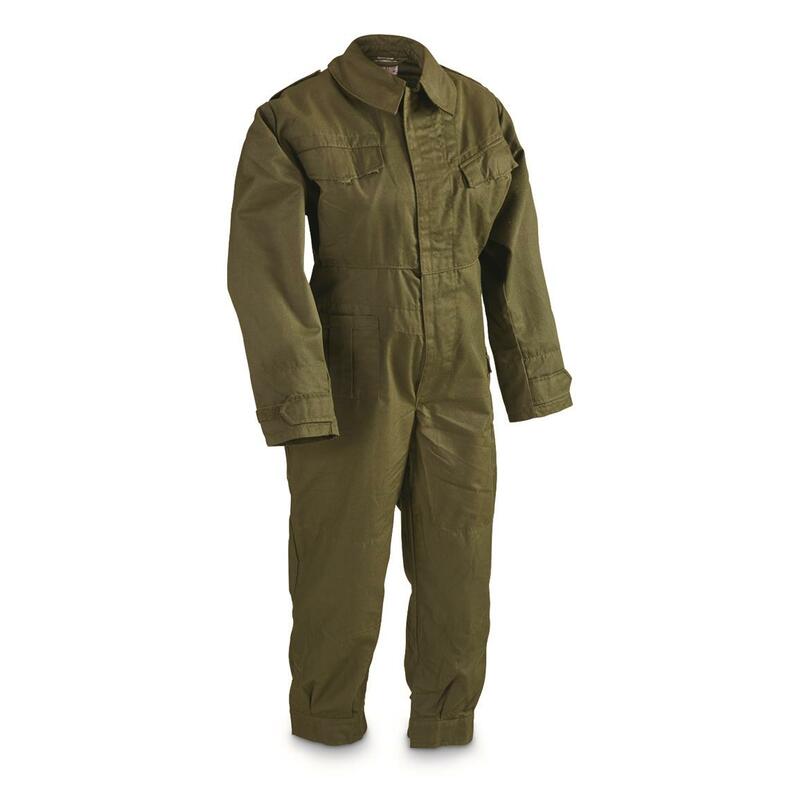 Keep your clothes protected from the rigors of work with these like-new Belgian Military Surplus Tanker Coveralls. They're made with a comfortable cotton/polyester blend and have plenty of pockets. Great for working in cold weather, too. Each has a button front with a hook-and-loop storm flap and the hook-and-loop wrist and ankle cuffs block out raw air and help establish a good fit. 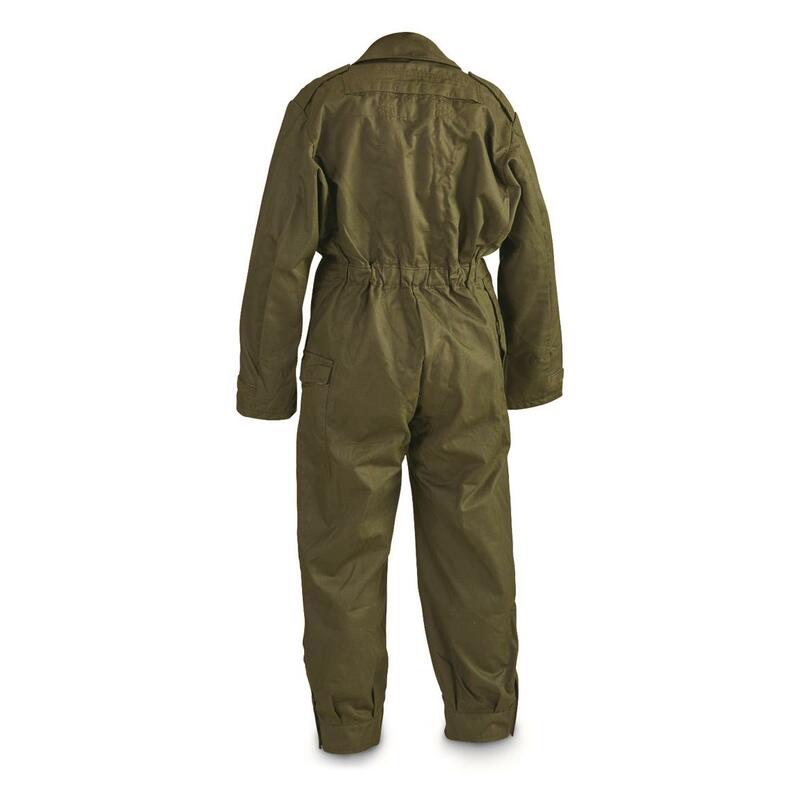 Belgian Military Surplus Tanker Coveralls, Olive Drab, Like New is rated 3.0 out of 5 by 2. Rated 4 out of 5 by OldLugNut from Great except for sizing I normally wear a large-short size in military clothing and ordered the XL in this coverall since reviews indicate they are sized small. Unfortunately this XL coverall was way too short. I'm 5'9" with 29" inseam and the legs were too short. I could handle the high-water look, but the coveralls were also too short to get over my shoulders. The XL should fit a size medium man but not if he is very tall. I was really hoping they would fit because they were apparently new and of great quality. Lots of pockets and sturdy material. They did have odors from long-term storage and would need a good airing out before use but I think they are a real bargain -- if they fit. I returned them for refund since the XL is the largest size SG shows for them. Rated 2 out of 5 by Keith from "Like New"? Ordered a pair of these for the wife, as she's always liked coveralls. Description states "Like New", yet there was a huge rip in the left buttock, obviously from long ago. Looks like some sort of cloth duct-type tape was used for the repair. Seems to be holding well, but is FAR from "Like New" condition! For size reference, one piece is 5" and the other 6" in length. There is no stitching, so maybe some sort of iron-on repair?Wife was certain that the XL size (largest available) would fit her, but when she tried them on it was too tight in the shoulders. Sending back for a refund.